About four years ago, I moved to a small village on a Greek island. Not having much in the way of entertainment within a 30-mile radius, my imagination woke up, and I began amusing myself with the idea of writing something. So I spent my first year on the island jotting down ideas for a novel at a leisurely pace and thoroughly enjoying myself. Then I devoted the following year to corralling my ideas into some semblance of order and turned them into a 385-page manuscript, which eventually turned into a published novel…and then I met the Boogeyman. I’m not talking about the monster that lurked under my bed when I was four years old. I’m talking about the mean-spirited voice many writers often hear in their heads. This voice tries to scare us into inaction based on its negative comments. 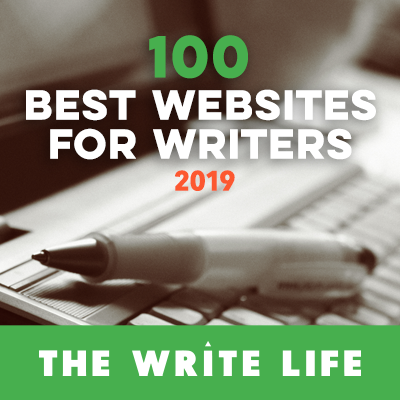 It tells us untruths such as, “You’re not good enough, clever enough, or even deserving enough to produce a decent piece of writing.” Most of us call this voice Writer’s Block. I call it the Inner Boogeyman. The first step to getting rid of your Inner Boogeyman is learning to recognize his voice. When your thoughts are negative, limiting, or self-sabotaging, it’s most likely your Boogeyman talking. When you can, write down the negative statements your Boogeyman is making. The good news is that Boogeymen aren’t very creative, so they will often use the same “catch phrases” repeatedly. That’s why keeping a written record of them helps. You’ll recognize the “catch phrase” and be better equipped to reject its message. Each time you hear a negative statement, ask yourself, “Is this absolutely true?” Boogeymen are convinced that their view is the undeniable truth. You don’t have to prove them wrong. All you have to do is question the veracity of their statement, which will slow down their momentum and put you back in the driver’s seat, writing at full speed again. Get up and get going! Boogeymen become louder and stronger when you’re inactive. The next time you feel your Boogeyman is about launch a destructive monologue, get up and move your body—go for a run, hit the gym, bike around the block, or offer to walk your neighbor’s dog. Physical activity and a change of scenery, even if it’s just for a few minutes, will derail any Boogeyman from its stipulated course. These are four very simple but effective tools to help you banish your Inner Boogeyman. Not only can they help with writer’s block, but they can help you lead a less stressful and more fulfilling life. In time, it will become easier to recognize and silence your Inner Boogeyman. You will also notice that when he does pop up, he won’t have the same incapacitating grip on you as he once had. The world of publishing is no bed of roses. Try to remember what you've accomplished. Even if you've never been published, you've written something that was important and meaningful to you. And if it matters to you, that's an accomplishment, so don’t forget to give yourself the praise you deserve. Great and very simple advice. I’m facing the worst “inner boogeyman” as I write Book 2 in my series. I’m going to follow the strategies you suggest! Great advice, and very timely. As writers, we bare our souls and it’s very easy to take personally and internalize what is really nothing more than a personal preference. I like the suggestion to write down the negative thoughts. Definitely going to try that one.